next to benefit from a night of live crowdfunding? Your organisation must be not-for-profit, with a clearly stated charitable purpose, and no direct religious affiliations - we do not require you to be a registered Charity/NGO/NPO. The size of your organisation is important. Would grants of £1000 make a difference to projects you would like to run or core costs of your organisation? An organisation with an income over £200,000 is not eligible to apply. Organisations funded by the Young Funding Network in the last year are not eligible to reapply, but unsuccessful projects may reapply once. Applications are taken in line with specific events. 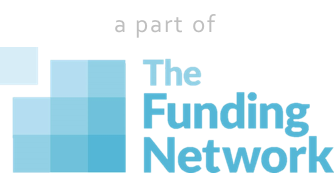 The Young Funding Network holds a number of crowd-funding nights across the year, so keep an eye on our Events section or sign up to our mailing list to find out about the next one. So you're eligible, now what? Well, the first thing is to see if applications are open on any of our upcoming events. If they are and you want to apply just follow the instructions here.